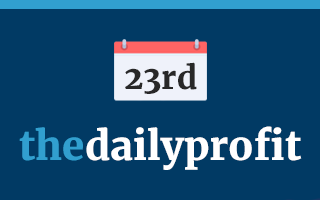 We're in the third week of The Daily Profit! We hope you're all enjoying it so far! We are still in the early stages so if you have any feedback, we welcome it! It's Facebook Friday! This is when we post the top posts of the week so do make sure to check these out!! We have a giveway this week so do make sure to enter if you haven't already! ps. Check out the new The Weekend Profit too! A couple of decent profits on today so be sure to check below for any great sports offers! Profit: Lots of free bets hopefully! Place a £20 win/ £10 each way on the outright winner market on the World Snooker Championships and receive a £5 free bet each time your play wins a match during the tournament. Select a player and back and lay the outright winner market. Hopefully this win many matches during the tournament for loads of free bets! Free bets credited by noon the day after the match and your player is the winner. Place a £10 bet on selected sports and receive a £5 free bet. Free bet is credited 30 mins after the trigger bet settling. Today the selected sport is horse racing. Place £10 at min odds of 1.5 on horse racing and lay on normal mode. Place as much as you can on one of the Sky acca price boosts and lay using the normal calculator for a quick and easy profit. *Lay Amade with the amount in the "lay stake" box at the bottom under the "trigger bet lay"
1) Amade doesn't win and your bet wins - you've made no profit from option 1, however you've locked in profit from option 2. 2) Amade doesn't win and your bet loses - you've made no profit from option 1, however you've locked in profit from option 2. 3) Amade wins (so your bet loses) - you receive a £10 free bet from option 1, and you've locked in profit from option 2. Place £20 on any horse in the race. Lay on normal mode. Hope your horse finishes 2nd for a free bet. If you get a free bet, use on snr mode at high odds to maximise profits. Skybet are offering £20 stake back as cash if your horse finishes 2nd or 3rd in the 2pm Lingfield race. Hope your horse finishes 2nd or 3rd for £20 back as cash. Make sure to have some ID with you as some shops will ask. Simon's Italy holiday courtesy of MB! Sign up to Lottoland via Topcashback if you're a new customer and wager £11 on lotto or scratchcard. NOT SLOTS! Do note that it takes several weeks for the cashback to be paid out so if you're notable to tie up these funds then best not to do this offer. *Wager amount needs to be £11. That extra pound is crucial because if you do £10, you will get a lower cashback. *DO NOT WAGER ON SLOTS! Lotto or scratchcard only! Bwin are giving away free prizes every day on their golden scratchcard. This is worth doing as the majority of prizes are risk free! Make sure you don't use your balance by accident and you can attempt this with absolutely no risk, but with the chance of winning some money.